In early days of freelancing career it is always difficult to reach out potential clients, mostly freelancers reach out so many clients but they usually not succeeded in landing a project, even they don’t get a reply back. It is always stressful feeling to not have any project or job, and mostly new freelancers frustrated when they don’t get a reply back. Do you ever think that why you don’t get reply back from clients and why you usually failed to land a project? Below are some possible reasons why you may not be landing new clients or even don’t get a reply back. Short details of project process by saying that, I want to start project with you-then steps you would take. By designing a logo and placing it on your profile doesn’t means that you have a brand. As an individual online freelancer you already have a brand, you have to give a shape to your brand including the content you share to the work you produce. You need to tell employer, who you are and what you can do for them. You should develop your personality and a unique separate identity for flow of landing new projects. There are some tips to improve your online brand or personality to get more freelance jobs. Above mentioned things are necessary for succeeding in freelance industries, you must have to develop your well reputed personality. By joining freelancing website, building your profile and bidding on new projects is not enough for you to find a steady amount of online freelance jobs. There are several other ways to reach out clients, infect clients can also find you. Let me ask you a question, are you doing everything you can put your name and freelance business out there? 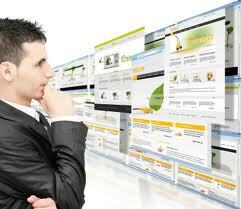 Always try to get your name or your brand name and website on as many websites as you can. You can do it very easily. It is not a complex and time consuming process. You can do it by commenting on the articles you read, if you can write good quality material then write a blog for guest post on an established website, increase the usage of social media, you can add your services to online directories. This will greatly help you get more traffic to your website. So always try each and every possible way to reach out clients or clients can find you on every possible option. Another thing that may resist clients to not reply your mails and messages is your qualification. Under qualification is one of the biggest problems today for freelancer. New and UN-experienced freelancers with low qualification tends to reach out multi million dollar companies, there are very rare chance to get a reply on your proposal and mails. In early days of freelancer career you should work for small companies and for individuals and have to way up. In this regard if you think you are enough skilled that you can fulfill and satisfy their demands then it is recommended to try to join some established teams. But as an individual your qualification matters. 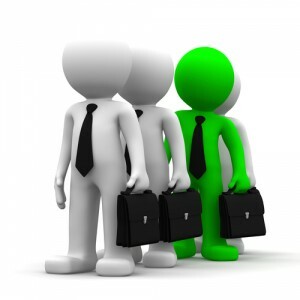 Big clients and companies usually tend to hire someone with over qualified as they need and a lot of experience. A great way landing projects of big companies is that, if you can collaborate with designing firms. Usually employers ask their designers to give them reference to complete their jobs. A good designing firm can play a vital role in landing new projects. Everyone needs to learn some things through practice and errors to make an attempt at success. Customer can sense when you are not sure about yourself or about your work and they try to find someone other for their online jobs. Here confidence is only one thing that can help you to establish your freelance business. You need to deal clients with great confidence but never over confidence. For example if a client reply you and ask for estimate, then you should give him an estimate of time and cost with full confidence and you must know how to respond him with confidence. You need to understand the worth of your skill and have to break down the whole projects into different parts and if there is negotiating then tell the client that how you will work and which things are included and how much time it may consumed and how you can provide your services or revision after the completion of job. Try to stick with your own pricing because you need to make money to succeed. You must have to understand that, clients are not investing on you, they are spending money for rendering service and they should understand this with your confidence. When you exude confidence, this gives your clients confidence in working with you. Just like your confidence, employer can sense a template email, and effective marketers know that client never consider any product or services that are offered through template base emails. Same theory is applied in freelance jobs, if you are sending 20 emails to clients in one day; there are very low chances to get reply from anyone. You must address clients by their names because at first you need to reach out them; you have to know their business and how you can help them. You could use a base template for marketing emails, but address the person you are emailing. You are supposed to mention their company, their business, your brief introduction and how you can help them. People visualize that freelance jobs are the easiest way to earn a lot of income from the comfort of your home. Infect freelancing is lengthy procedure for earning livelihood. It required a full dedication, time and hard working. 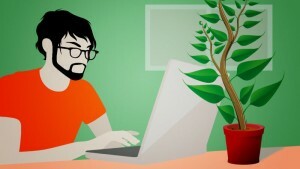 It is always tough to get online freelance jobs; it required good marketing techniques and ethics. For successful freelancing career you need a lot of things simultaneously. It is not just about having a logo and website or sending as many emails as possible to find online jobs. You need lot of things to grow your freelance business. Above mentioned points is much worthy for landing new projects. At that time you may be disappointed and discouraged but if you stick with it and continue to give your freelance career your full efforts, and then you will see the amazing results. Now are you ready to run a successful freelance business with landing new projects?